sometimes have slight variations from the image shown. Each Caroline Mothers Bracelet is created by hand based upon your personal request. 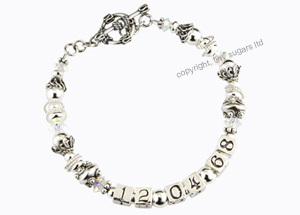 Your design may differ slightly depending upon the length of your Mother's Bracelet.